While it may seem intimidating to think about all the different artists trying to make it big, it’s never been easier for artists to get in front of new audiences. Anyone can get their band’s music on Spotify—the hard part is making sure the right people find it. Just like at a music festival, Spotify playlists create a huge opportunity for smaller bands to get in front of a more established band’s fans. By making your way onto popular—or, for the sake of starting out, any— playlists, you’re going to get in front of people who already enjoy music similar to yours. 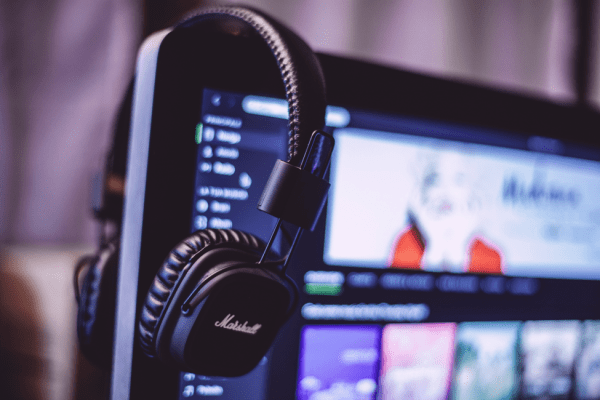 Let’s take a look at a few simple steps to help you increase your music’s exposure by getting featured in Spotify playlists. The easiest way to convince someone your music fits in perfectly with the bands they already love? Curate your own playlists that feature your songs interspersed with some songs or bands you know an influencer already loves—and increase your clout by adding some new ones they may not have heard of. The goal here is to make yourself look like an expert, so don’t overdo it when featuring your own music. This is the difference between coming across as overly self-promotional or authentic and helpful. Showing that you have great taste and are doing the work yourself to promote other artists will go far in getting someone’s attention and establishing you as not just a musician, but an expert in your genre. There are a few types of influencers on Spotify, and your goal should be to get in touch with as many as possible, while still taking the time to craft a personalized message to each. You likely already know of music bloggers who write about your genre, and they likely have a profile on Spotify where they create playlists. Additionally, Spotify hires artist liaisons whose job it is (jealous!) to identify new talent and maintain updated playlists. These Spotify-owned playlists (e.g. Totally Stress Free or Relax & Unwind) are the ones you see on your homepage and are the most heavily promoted within the app, thus these are the ones every artist is eyeing. Other popular, brand-owned playlists are created by third parties like Topsify. These brands will strike a balance between well-known and emerging artists, so don’t count yourself out just because you’re not signed to or affiliated with the brand. It’s easiest to start your outbounding efforts with email, though you can use social media to follow up. In your message, be sure to include why you reached out to this person specifically, any playlists you’re already included in (it doesn’t matter if these playlists don’t have thousands of followers), and any playlists you’ve created. Make your call to action clear: you’d like your music featured in one of their playlists. Convoluting your message with multiple calls to action can be confusing and, let’s face it, you probably only have 30 seconds of their attention, anyway. Everyone loves a bit of flattery. If you spot a few influencers who created playlists you want to be on, share them! Post them on Twitter, share them with friends, and let them know you’re out there promoting them. You can do this subtlely by mentioning them in your Tweets or Instagram captions OR just send them a message saying you’ve done so. You also want to make sure you’re sharing after you’ve been included in a playlist. Once you’re featured on an influencer’s playlist, it’s time to return the favor and share it with your networks. To boost the Tweet it out to your fans, post it on your website, and definitely use it as leverage to get in front of even more influencers. Before we talk about sharing your music profile with industry influencers, it’s important to have a few things in order. First, your branding on Spotify should be consistent with that of your social media accounts, website, etc. The next step toward taking your profile from amateur-level to “tell me more” is getting your profile verified. When you do reach out to an influencer, they’ll likely look for the little blue check mark that indicates a level of professionalism they might take seriously when considering whether or not to include you on one of their playlists. In order to get verified, you need 250 followers. If you’re not quite there yet, the first step is simply reaching out to your immediate network by sending an email to family, friends, and fans and posting a request on all your social media channels. Another quick way to get in front of potential new followers? Become a part of the conversation. Which bands do you admire, or influence or music? Which music blogs do you read? Simply commenting on their blog or Instagram posts can make you a part of the conversation and get your name in front of their other fans, who might be interested in checking out your music. By increasing your exposure and asking people to follow you, you should reach 250 fans in no time, earning you the blue check mark that will matter to some of the playlist curators to whom you’re going to reach out.